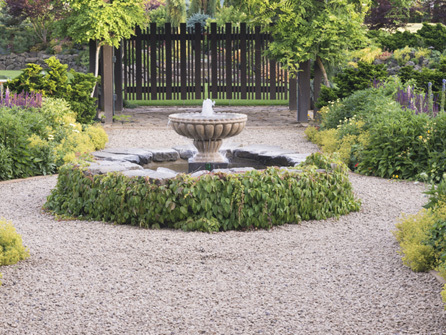 A stunning patio can add a focal point to any garden, creating interest, charm and extra living space whilst instantly adding value to your home. At Cornerstone Paving Ltd, we design and build patios in block paving or natural sandstone with decorative matching borders. Extras such as steps, walling, decorative edges and lighting can make your patio unique and be the envy of many a neighbour. Our team have extensive knowledge in the paving industry and we can show you a portfolio of completed patios so you can get an idea of our workmanship and the endless possibilities available in the design of a perfect patio. No job is too small, we offer all of our customers a full design and planning service, helping you to decide on which textures, styles and colours you would like and what would best suit your property and its surroundings. We spend time on the preparation of our patios, as with our driveways, to ensure the ground is properly conditioned in order to ensure a long lasting and flawless finish. Take a look at our Driveways page to see the careful process we go through in laying a block paved driveway, the same rules apply for a Patio. 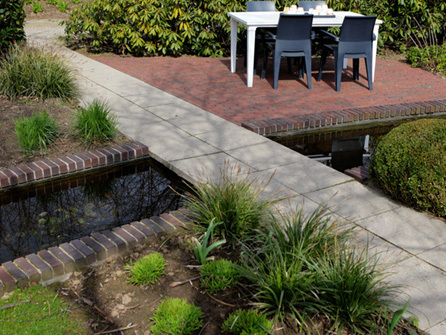 Our team offer a full maintenance and repair service to existing patios in need of some love and attention. 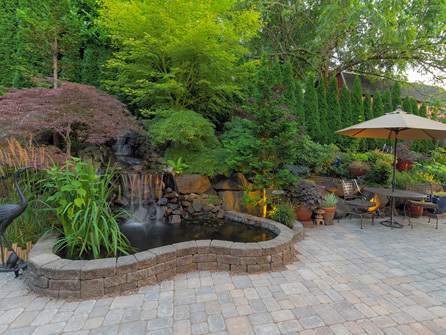 Years of weather damage along with a build of dirt, grime, bird droppings, moss and algae can take its toll on your patio and pathways. If there are blocks or stones that are chipped or broken, our experts can repair them for you. Once the repairs are carried out, our professional jetwashing service will get your paving looking as good as new. All of our patios are fully guaranteed, we accept all forms of payment and we are fully insured. We offer free site surveys, free advice and free no obligation quotations at competitive prices. 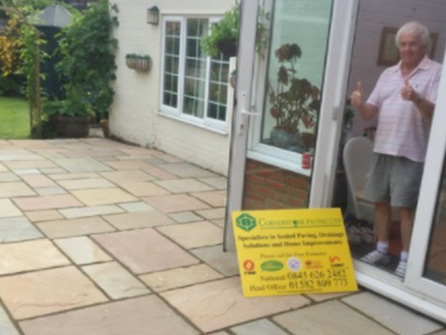 For friendly, professional advice on design, construction and maintenance of your patio and pathways, call in the experts at Cornerstone Paving Ltd on 020 8485 8422.